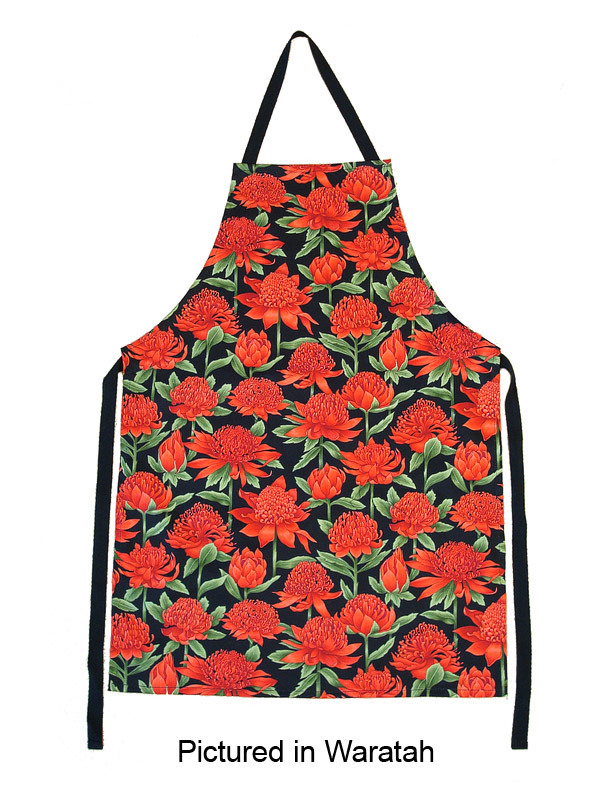 This apron is 100% made in New Zealand with the gorgeous red flowers of our native tree printed on a quality cotton twill. Shhh! Don't tell the Australians we've borrowed their tree! 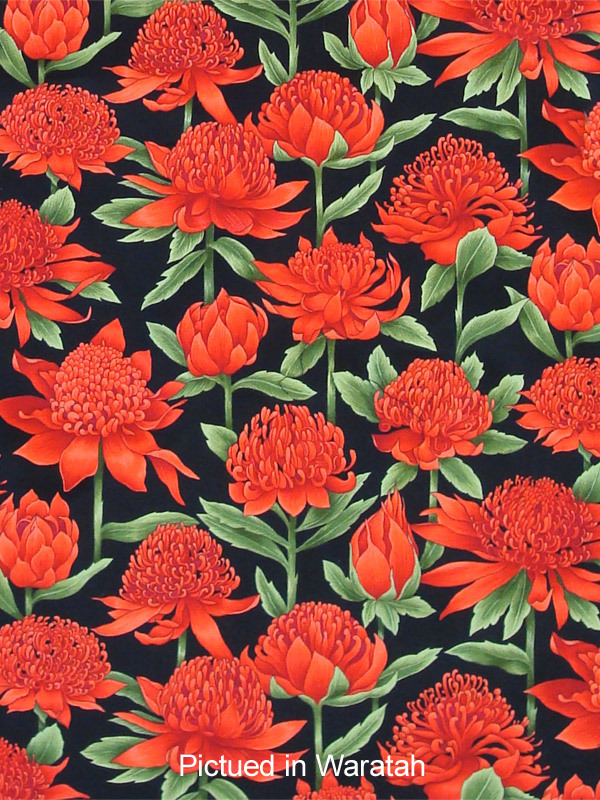 We know... the Waratah is technically an Australian tree, but to us it's now an intrinsic part of the New Zealand floralscape. Besides, this print is just so darn pretty! A beautifully cut, authentically Made in New Zealand apron in a high density weave from gorgeous, canvas weight 100% cotton twill with 100% cotton strapping. How natural can one get? A superb reminder of these Antipodean shores and a reinforcement of our 100% Pure message in using the most natural of fibres. Non-frumpy, high fashion aprons are just the first of our cheerful Kiwiana range to emerge from our workroom. There is now no reason to look like a sack when emulating a Master Chef contestant! Measuring 72 cm length (28 ½") x 52cm width (20 ½"), with long waist ties, these balanced dimensions fit most women.